University Christian Church will host a Christmas Benefit Concert to raise awareness and funds for the homeless in Austin. 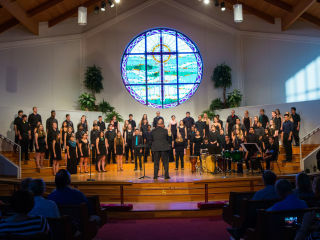 The Amphion Youth Choir will perform a free concert that is open to the public. Monetary and food donations will be accepted before and after the concert for Micah 6 of Austin, the largest food pantry in Travis county dedicated to serving those experiencing homelessness.